Complaint 1: 28 May 2015 Joint complaint to the MHRA and GPhC about Nelsons' pharmacy and website. Complaint 2: 28 July 2016 Second joint complaint to the MHRA and GPhC about Nelsons' pharmacy. Complaint 3: 28 November 2016 Third joint complaint to the MHRA and GPhC about Nelsons' pharmacy. So far, so good. 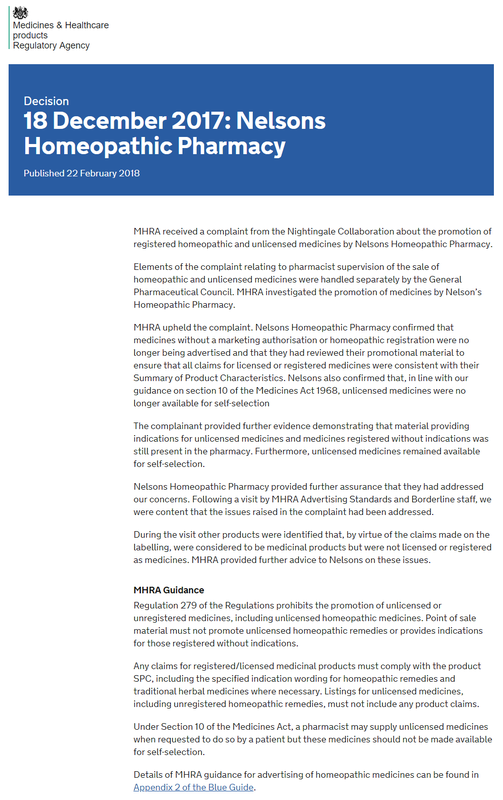 But a major part of our complaint about Nelsons Homeopathic Pharmacy concerned the General Pharmaceutical Council (GPhC), the regulator for pharmacists and pharmacies. Our complaint was submitted to both the GPhC and the medicines regulator, the MHRA, in May 2015. We weren't sure what specific aspects each would deal with and neither, it seems, did they. The GPhC had to discuss the case with the MHRA and decide what their remit was and took legal advice. What were we complaining about? Our complaint covered a number of issues that concerned us (including the kits of homeopathic products that were on sale, tissue/cell salts, point of sale (POS) advertising, various herbal products and their price list) but we will focus on the main one here: on our first visit to Nelsons premises, Maria self-selected a tube of a homeopathic product labelled 'Diarrhoea'. This product is not registered and not authorised by the MHRA. 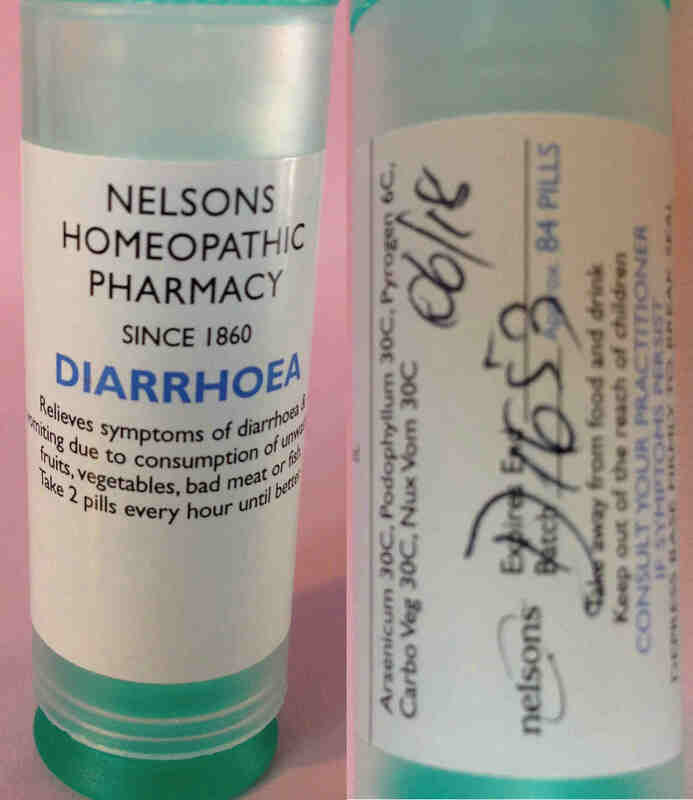 As such, it is essentially an unlicensed medicine (technically, the MHRA had not determined its status but it clearly was not a registered and not an authorised homeopathic product), it should not have had indications (in this case diarrhoea), should not have been advertised, should not have been available for self-selection by a customer and should not have been sold other than in very limited circumstances — more on that later. Relieves symptoms of diarrhoea & vomiting due to consumption of unwashed fruits, vegetables, bad meat or fish. Take 2 pills every hour until better. That is a very bold therapeutic claim: as well as breaching the medicines regulations, we believed this was highly irresponsible. Note that it doesn't say to consult your GP if symptoms, just your (homeopathic) practitioner. The most interesting ingredient here is the Podophyllum: also known as May Apple, Devil’s Apple, Wild Lemon and Indian podophyllum, it is a herbaceous perennial plant in the family Berberidaceae, and is poisonous. As such, it is designated as a banned and restricted herbal ingredient by the MHRA and medicines containing it are classed as Prescription Only Medicines (POM). The label on the diarrhoea product claims it is diluted to 30C, that is, one part in 1,000,000,000,000,000,000,000,000,000,000,000,000,000,000,000,000,000,000,000,000, but, of course, that depends on it having been properly manufactured. The MHRA decided it wasn't a POM because it was diluted so much. That out of the way, the GPhC turned to dealing with our complaint. The GPhC has reviewed all of the available information and we have concluded that the matter you have made a complaint about is not a matter that requires regulatory action. Accordingly this case file has been closed. There is no requirement for the pharmacist to identify herself, other than to display an Responsible Pharmacist notice. The video you supplied shows the Responsible Pharmacist notice behind the person serving Ms MacLachlan. In addition, the pharmacy produced the Responsible Pharmacist log to the GPhC confirming the pharmacist who was on duty that day. The medicines were not used inappropriately and no harm was caused. There is no information to suggest the sale and display of homeopathic medicine was in breach of any legislations [sic]. The issue regarding the leaflets is a matter for the advertising unit of the MHRA, but do not breach regulations relating to the sale and supply of POMS. This was irrelevant because Maria was sold an unauthorised medicinal product by someone who wasn't a pharmacist and without a prescription. We had never questioned the identity of the pharmacist. Goodness knows what they deemd appropriate use of the sugar pills, but we never said — and were never asked — whether we had taken any of the product or whether we had been harmed, so we had no idea how the GPhC had arrived at their conclusion. We provided clear video evidence of the multiple breaches — and they could easily have verified it with a site visit if they had wanted — so we are at a loss to understand this. None of the homeopathic products were POMs but were unauthorised medicines. We complained again, taking apart this wholly inadequate decision, and this was passed to the investigator's line manager to deal with. We got his response a few months later in July 2016. It was confusing and totally unhelpful in understanding the original decision and simply raised more questions than it answered. It really did beggar belief that a statutory regulator could have produced such a sloppy and ill-reasoned response. Needless to say, it essentially upheld the original decision. However, on the point of the unauthorised medicines being on sale, the manager decided there was now enough evidence and has issued 'formal advice' to the Superintendent Pharmacist at Nelsons, Suzanne Haar — this was to be kept on record and referred to whenever the site is next due for a routine inspection. We were not given a copy of this advice despite attempts to find out so we could better understand the legal position regarding these unlicensed products. Because we were completely unsatisfied with this response, we paid Nelsons another on 28 July 2016. Guess what Maria was able to purchase? Exactly the same diarrhoea product she did the first time. We also noticed the same unauthorised products on sale as well as unauthorised tissue salts products. Perhaps the most galling thing was that the booklet Which remedy do I need? that was banned by the MHRA from Holland and Barrett was still there despite that being part of our complaint. It's not believable that Nelsons were not aware of our three MHRA complaints on this and the MHRA's decision. It appears that despite our complaints to the MHRA and the GPhC and despite their investigations and the formal advice given to them, absolutely nothing had changed. So, we responded to both the MHRA and the GPhC again with all we found and we were told that they were both considering this as new complaints against Nelsons and the pharmacist/pharmacists. We're sure you will be as concerned and as disappointed as we are that despite previous rulings that the POS [Point of Sale] material was not permitted and despite your previous action, this and other materials are still being used and that unauthorised medicines are being displayed and sold. It is difficult to understand why these obvious breaches have not been properly addressed by all concerned long before now and that we have had to submit a further complaint. selling unauthorised medicinal products (with indications) in breach of the regulations. offering for sale on their premises and on their website unauthorised medicinal products (including herbal mother tinctures), many with indications. using point of sale materials that have indications for homeopathic medicinal products for which indications are not permitted. offering for sale Schuessler Salts products with indications in breach of your ruling on this after our previous complaint - I was unable to verify whether they were described as homeopathic or whether their dilution was given in homeopathic terms. offering for sale Dr Reckeweg 'tissue salts' products that are labelled with a 'homeopathic' dilution. advertising in their price list unauthorised medicinal products (including herbal mother tinctures), many of which have indications. advertising in their price list unauthorised kits of homeopathic products with indications. We sincerely hope that our complaints will now be fully and thoroughly investigated and that any breaches of the regulations are finally dealt with. It is unclear at this stage whether these new concerns relate to the same matters that we have addressed in our recent investigation. Once we have conducted a full review of the documentation we will confirm whether we will be opening a new case. We will also consider if any aspects of your new concerns should be referred to the MHRA for further investigation. It's difficult to understand what was unclear. While we were waiting for the GPhC to deal with this, we received a reply from the MHRA telling us they had received confirmation from Nelsons that they had taken action to address points 1, 2, 3, 4, 5 and 7. We wanted to check to see what had changed, so we paid them another visit. We are sure you will be as disappointed and frustrated as we are to discover that they still do not appear to have addressed all the issues. She self-selected and purchased yet another tube of 'Diarrhoea Relief' homeopathic product. 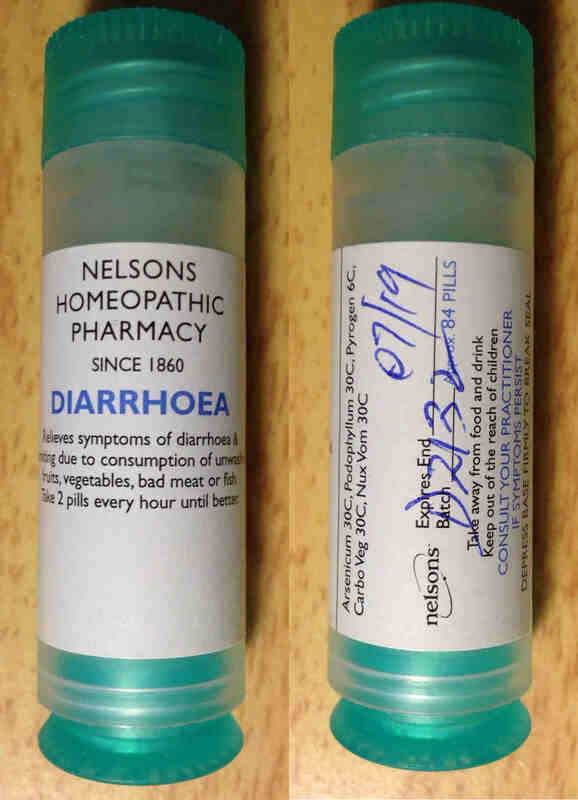 It is not known whether the member of staff who sold the Diarrhoea Relief product to Maria was a pharmacist or not (but we are certain it was not the Superintendent Pharmacist, Suzanne Haar), but she was asked no questions whatsoever about the product, who it was for or for what medical condition it was being purchased. The till receipt (see attached scan) gives the name 'Marlyn Hap'. The clear plastic boxes of these unauthorised medicinal products with lists of indications on the front were on two shelves in the same place in the shop as before and fully accessible to members of the public. There were two notices attached to the edge of the lower shelf. One said: 'Not for self selection' and the other said: 'Please ask a member of staff for help. Thank you' but it was not clear whether this referred to the products on the shelf to which it was attached or those on the shelf below. The upper shelf of unauthorised medicinal products had no such notices. The 'Which remedy do I need?' wire-bound point of sale promotional material for their registered and authorised homeopathic products was still attached to the rack of products. The Schuessler Tissue Salts products on the shelves gave the potency as a numeric value such as 6X on the front of the label. 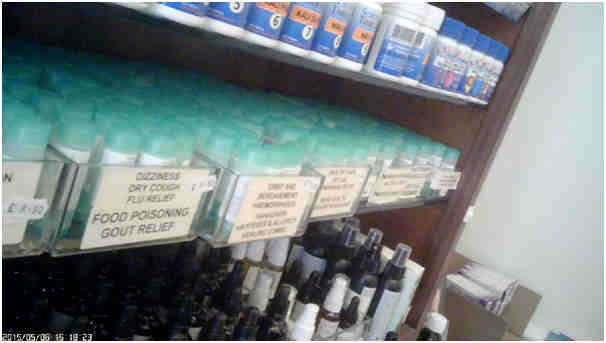 The display shelving unit (that housed all the above-mentioned products) was labelled 'Homeopathy' at the top. As we said, it was disappointing that we had to submit a complaint the first time (and we would remind you that was on 28 May 2015). The various regulations surrounding the advertising, sale and supply of homeopathic products and unauthorised medicinal products are straightforward and it is the responsibility of the Pharmacists and Nelsons to ensure compliance. We are at a loss to understand why - after eighteen months and two previous complaints about essentially the same breaches - that these issues have not been fully and properly resolved. Your previous actions against Nelsons have clearly been wholly inadequate and it is disappointing that it has been necessary to submit yet another complaint. We sincerely hope that the combined efforts of the MHRA and the GPhC will - this time - ensure that Nelsons Homeopathic Pharmacy finally comply with all the various regulations they must know they have to comply with. Now that the MHRA has concluded their second investigation and ruled that Nelsons Homeopathic Pharmacy have again breached various regulations concerning the advertising and supply of both unauthorised medicinal products and registered homeopathic products and herbal products, we would ask that you take these into account in your consideration of our previous complaint about the Registered Pharmacists at Nelsons Homeopathic Pharmacy and our further complaint detailed above. It beggars belief that Nelsons thought that putting up a notice on the shelf saying 'Not for self selection' would be considered anywhere near adequate: the products were still available for self-selection. GPhC guidance, as set out in the letter dated 12 May 2016. In this case, the Investigating Committee decided to issue a warning to Susanne Haar and to give advice to Navreet Chaewla. This means that the Investigating Committee has concluded that the allegations need not be considered by the Fitness to Practise Committee. The Committee felt that it would be appropriate for the matter to be disposed of by the Investigating Committee. In order to receive the warning, the committee had to adjourn and inform the registrant that that was what they were minded to do and gave the registrant the opportunity to make submissions about the proposed course of action or, if the registrant wished, to have the case heard by the Fitness to Practise Committee. In this case the registrant accepted a warning. Please note that the letter of warning is a formal sanction that will stay on the registrant’s legal history with the GPhC for 5 years and on the public register for 2 years, and may be taken into consideration if any further allegations are made about the registrant. We have also shared the outcome of the Investigating Committee with our local inspectors who may consider this as intelligence as part of any future inspection. On 22 June 2017 the General Pharmaceutical Council’s Investigating Committee considered an allegation in relation to Mrs Susanne Skovgaard HAAR, registration number: 2039122 and determined to issue the registrant concerned with a warning in relation to the conduct alleged. The warning has been issued to ensure public confidence in the profession and the regulatory process and to protect the public by reminding the registrant concerned to adhere to all legal and professional obligations in their practice in the future. So despite all the issues we found, the multiple failings by Nelsons to abide by the regulations and to heed advice given to them by the regulators, it was not deemed to be a fitness to practice issue. Although we received this last July, we were waiting for the MHRA to publish their final decision notice, which they did last week. Three years, a 22-page initial complaint, two further complaints, two statutory regulators, multiple occasions where we had to chase both regulators and multiple occasions where we had to correct their misunderstandings and errors, but we finally got there. 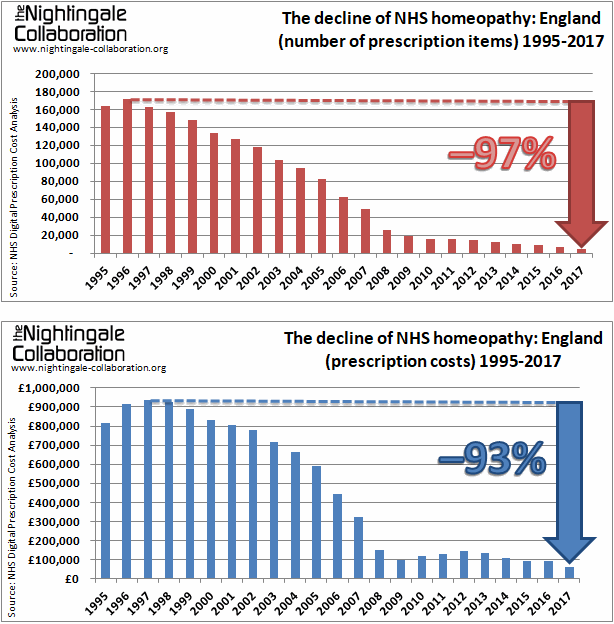 We did not do this to have anyone punished: we started this as an attempt to discover and understand precisely what pharmacies and pharmacists were and were not permitted to do in terms of selling homeopathic products and to test the statutory regulators' resolve to enforce those rules and regulations. 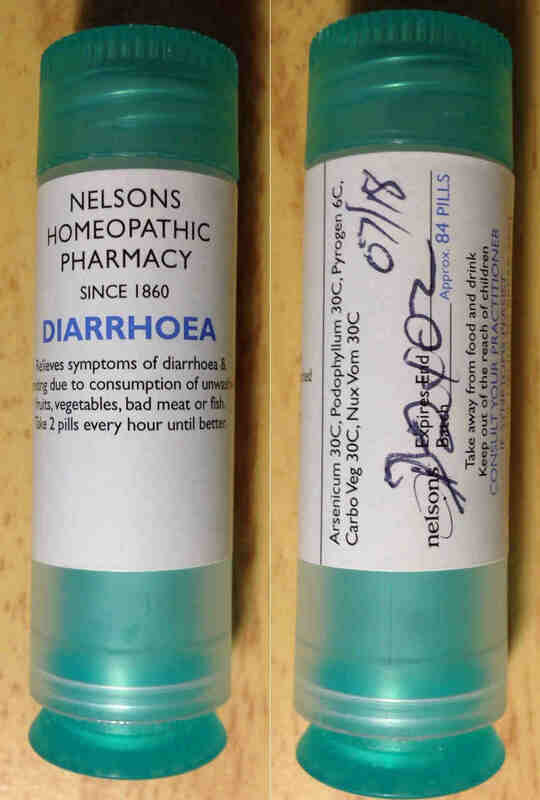 The failures of Nelsons Homeopathic Pharmacy to implement the guidance provided by the regulators are what have caused this to have dragged on so long. But a complaint should never have been necessary in the first place: understanding the Human Medicines Regulations, the Medicines Act and all the other legislation surrounding the operation of pharmacies are part of the responsibilities of pharmacists. There can be no excuses. It should not have taken one complaint, never mind three, and it should not have taken nearly three years to resolve these very simple and straightforward issues. What can we learn from this? 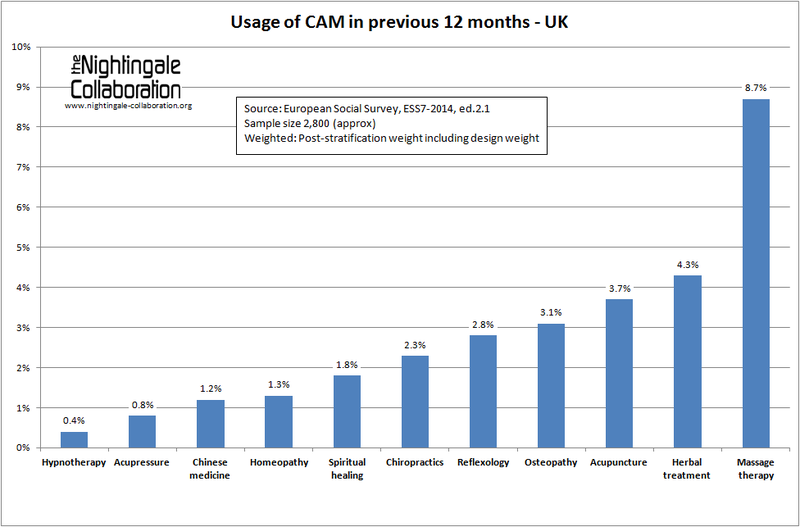 What can homeopaths and homeopathic pharmacies learn from this? What, precisely, can pharmacies do in terms of selling homeopathic products, whether authorised, registered or neither? This exercise has revealed a lot about all that, but that's for the next instalment. The last time we looked at Nelsons, we told you of our complaint against them that the medicines regulator, the MHRA, upheld. This concerned their advertising on their websites of homeopathy products that were not within the terms of their registrations. We briefly mentioned that this was part of a larger complaint: our MHRA complaint ran in parallel with another complaint we had submitted to the General Pharmaceutical Council (GPhC), the regulator for pharmacists and pharmacies. That was completed some months ago but we were waiting for the MHRA to announce their decision on their part of that complaint. Yesterday the publication by the MHRA of their decision on that complaint so we can now reveal that and regale you with the catalogue of errors and mishandling by the GPhC now everything has been properly — and finally — resolved. We submitted our original complaint on 28 May 2015 — nearly three years ago. It's just as well we are determined and patient! Although the two stories are closely intertwined, for simplicity, we will detail the MHRA parts of the complaints here and will address the GPhC complaints in a subsequent newsletter. As you will appreciate, this is a long and involved story, but we feel it's necessary to put much of it into the public domain. Complaint 2: 20 July 2016 Second joint complaint to the MHRA and GPhC about Nelsons' pharmacy. The MHRA and GPhC took some nine months just to sort out among themselves what parts of the complaint came under their respective remits: it wasn't until January 2016 that the GPhC contacted us to progress the complaint. However, the website parts of the complaint are the responsibility of the MHRA. 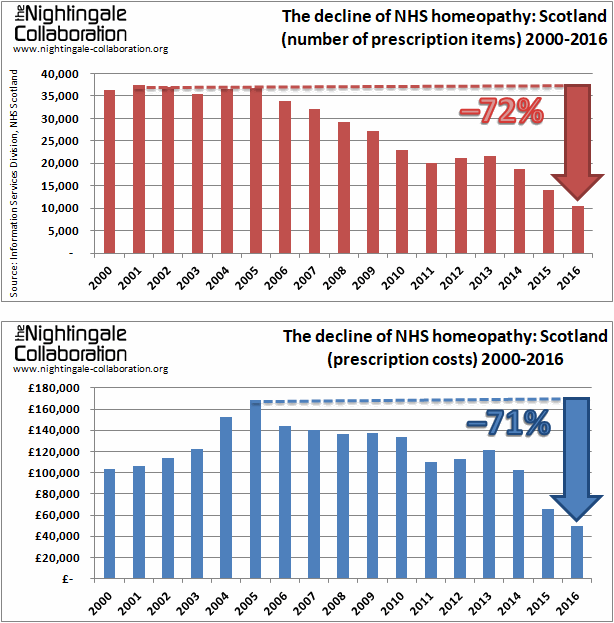 They dealt with this and this was what we wrote about in our earlier newsletter: Nelsons Homeopathic Pharmacy #1 in August 2015. Another part of that complaint was about Schuessler Tissue/Cell Salts products that were on sale in the pharmacy. This was also dealt with separately by the MHRA as it raised different issues. 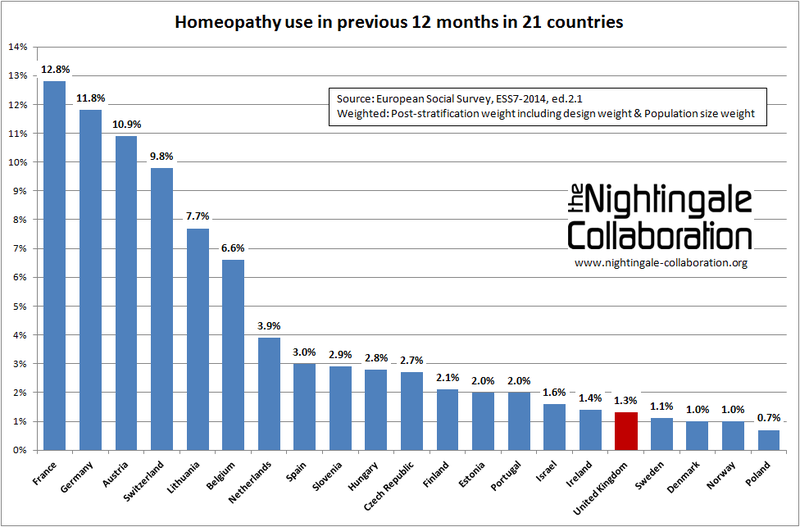 For further details, see: Rubbing salts into the wounds of homeopathy and see below. Although the MHRA upheld these parts of the complaint, they failed to mention what we believed to be issues concerning the pharmacy premises that we understood fell within their remit. We therefore submitted a second complaint. The GPhC were still dealing with our first complaint but this is an extract from our second joint complaint, submitted after a second visit to Nelsons. We kept it as a joint MHRA/GPhC complaint because we didn't want anything to fall through the cracks. Some of these points relate to the complaint to the GPhC so read the next newsletter to find out what they are all about. We have received confirmation from Nelsons that they have taken action to address points 1-5 & 7 above. However, we paid their premises a third visit and found the 'Which remedy do I need?' wire-bound point of sale promotional material for their registered and authorised homeopathic products was still attached to the rack of products. We also found Schuessler Tissue/Cell Salts products on the shelves that gave the potency as a numeric value such as 6X on the front of the label. These were clearly against what the MHRA had ruled for these products, had told Nelsons and what Nelsons had supposedly addressed, so we had to submit a third complaint. The MHRA published their decision on that complaint yesterday. Thank you for your email of 28 July 2016 concerning the promotion of homeopathic medicines by Nelsons Pharmacy. 1&2 Under Section 10 of the Medicines Act a pharmacist may supply unlicensed medicines when requested to do so by a patient. These products may not be advertised. We also understand from colleagues in Regulatory Advice that unlicensed medicines supplied under section 10 of the Medicines Act should not be available for self-selection. 3 Point of sale material should not promote unlicensed homeopathic remedies or provide indications for those registered without indications. If they are not licensed or registered and any of the above appear then such products would be likely to be considered unlicensed medicines and should therefore not be advertised. Our advice above would also apply. 6 Any claims for registered/licensed medicinal products must comply with the product SPC, including the specified indication wording for homeopathic remedies and traditional herbal medicines. Listings for unlicensed medicines (including unregistered homeopathic remedies) must not include any product claims. 7 Our advice above will also apply to these products.We have received confirmation from Nelsons that they have taken action to address points 1-5 & 7 above. They have also confirmed that, in line with point 6, all material will be further reviewed and amended as necessary to ensure that all promotional material is compliant with the SPC for licensed/registered medicines by the end of 2016. A. 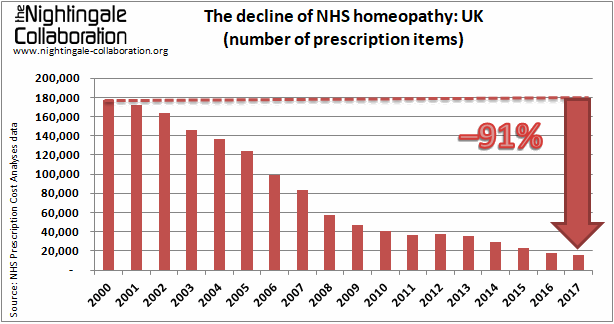 The supply, sale and advertising of unauthorised homeopathic medicinal products (as the HMR calls them), ie those homeopathic products that are not authorised under the National Rules (NR) Scheme or not registered under the Homeopathic (Simplified) Rules (HR) Scheme — we can ignore any Product Licences of Right as they effectively no longer exist. B. The supply, sale and advertising of Schuessler Tissue/Cell Salts. C. The terms of the authorisation or registration of NR and HR scheme products. There is more to be said about these, particularly the first one, but we first need to look at our complaints to the GPhC, how they dealt with them and what the outcomes were. We hope to publish that comedy of errors in the few days. 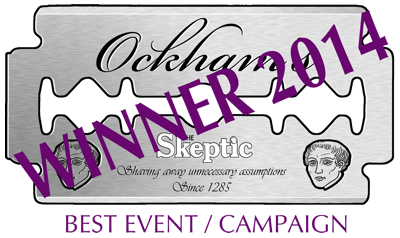 Whether it concerns human or animal health, the debate is clearly about the consideration of the best available scientific evidence; to that battle, homeopaths come unarmed. Homeopaths and their trade bodies (including the Faculty of Homeopathy and the British Homeopathic Association) have been urging their members to respond: we know decisions should not be made on the popularity of a treatment but on the best evidence, but the more the CCGs hear about the evidence-based position, the easier it will be for them to make the right decision. We will be submitting our own comprehensive response to the CCGs and we will publish it later in the year. 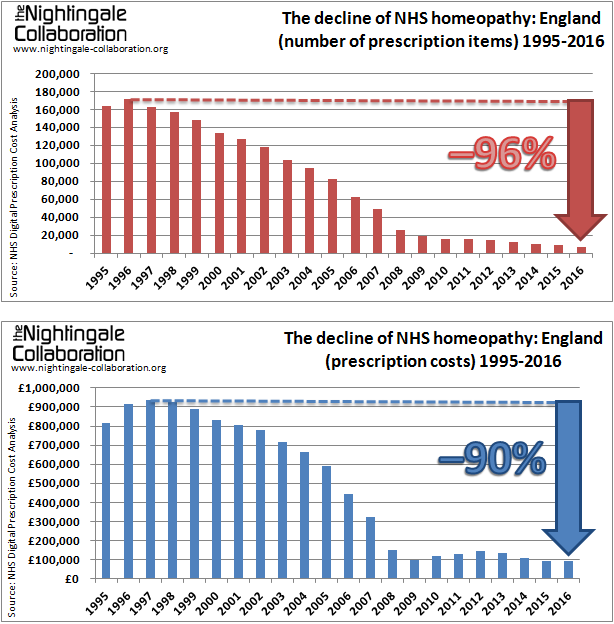 There is another consultation running at the moment, this time by NHS England that would effectively blacklist homeopathy, but that doesn't close until October so we'll leave that for another time. It'll only take you a minute to respond to this consultation: why not do it right now?